Just wanted to share some of our winter mania with you guys! 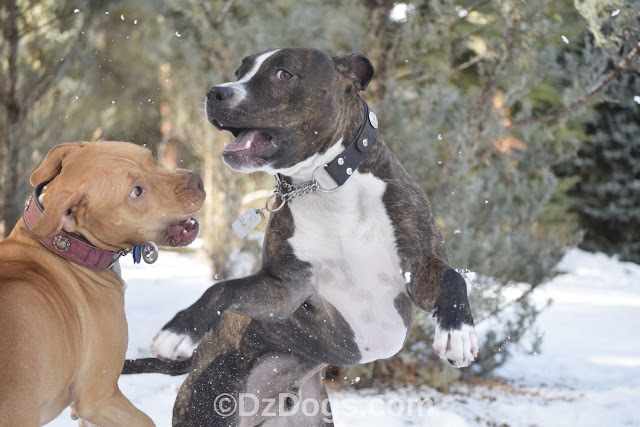 Dante also loves to use his face like a snow plow, too bad I didn't get that on film! Well, camera...you know what I mean, being that no one really uses film anymore. Don't worry, it's all fun and games here!! After some crazy zoomies, and the dogs are nicely wore out we like to end up snuggled on the couch in a big pibble pile. 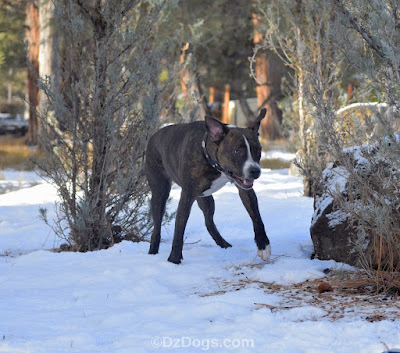 Do your dogs like the snow? Love the snow! Love your dogs! 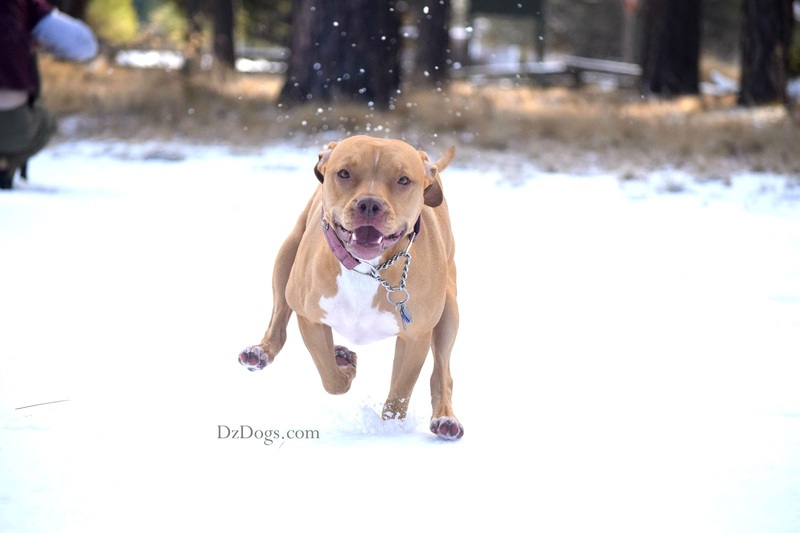 Love pictures of your dogs in snow! Thank you Kari!! Wags & Kisses!! Aw, I love the pics!! 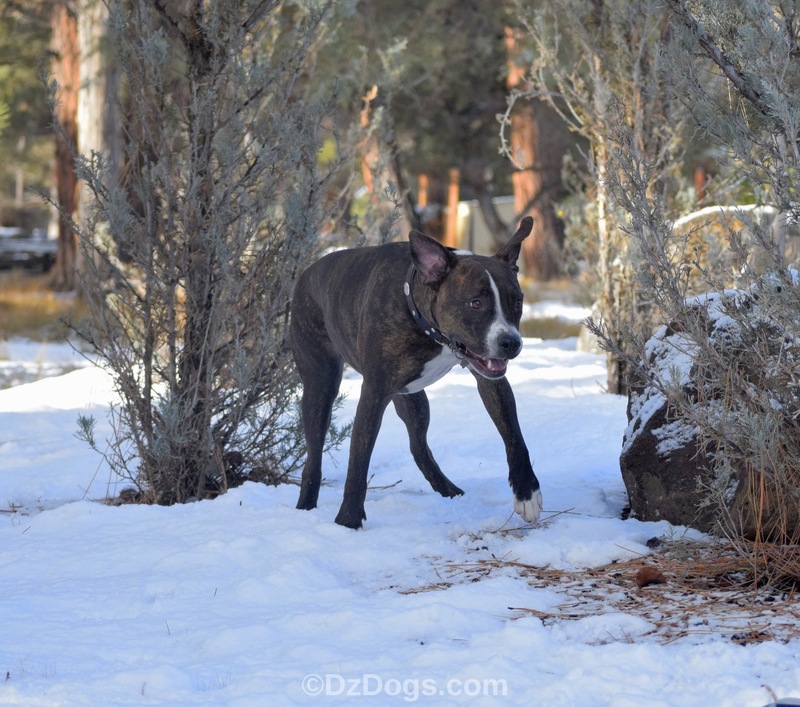 My doggies love playing and running around in the snow too. They are so cute playing in the snow! I love your photos! We don't get very much snow down on the bayou. Maybe a few inches every five or six years. LOL! That makes us really love it when it happens. Hahahaha!! I didn't think of that! We have to travel about an hour to get to snow, but we certainly love it! How cool they got to enjoy the white stuff!! Last year when we had our dusting of snow anomaly in the desert, B was less than impressed. But I do wonder if deeper snow would be more to her liking! Occasionally we get a dusting too, and every couple years we get a few inches. For serious snow we have to go out and find it. :-) About an hour to get to the snow from where we live. It's always a fun trip though! They look like they're having a complete blast! They love the snow if it is above -4F/-20C. Below that, they don't. We call it snow fever when they get all crazy and want to play in it. Hahaha! I like that! It's a good description of what goes on in our house too! 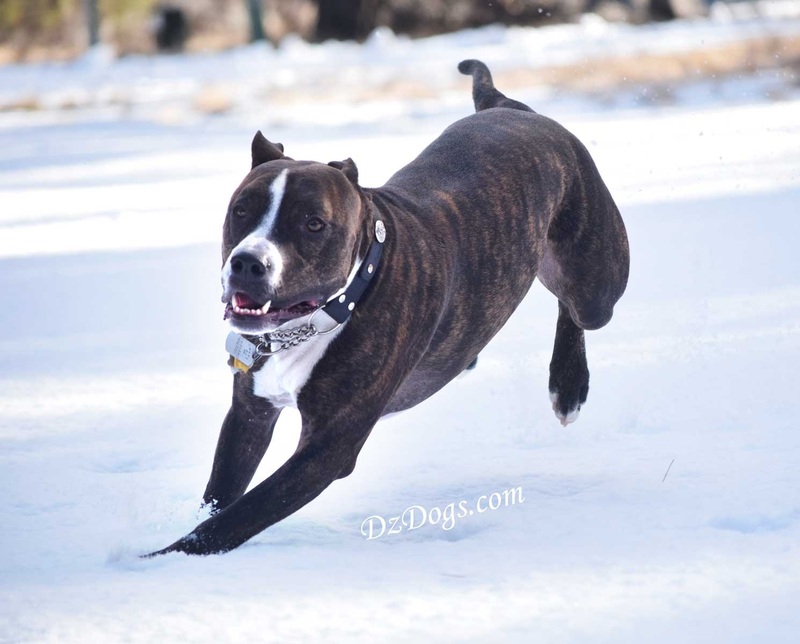 Some great snow action shots! Those ARE some crazy legs! I love that! Pugs get the zoomies, too. Mine tucks his tail and rear under and speeds around with crazy legs, just like that. I've never been able to catch it on film like you do. Nicely done! Thank you!! I love it when they zoom like that! The pups do like the snow!! We actually have a not-so-fun "snow" day today - everything's closed because of freezing rain. Ugh. So annoying. But we're staying busy inside! Yuck! I hate freezing rain! Love the photos!!!! Living in Berkeley, Ca TacK and Clewie haven't seen snow to our knowledge. But fingers crossed for snow next month when we visit Northern Arizona. I hope your pups love it! !